Raytheon recently announced their latest cost savings measures in which it merges two divisions – communications systems and advanced programs – with Space and Airborne Systems. 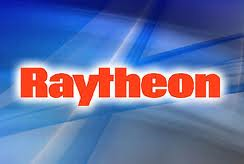 Raytheon expects there will be nearly 200 jobs lost in the reorganization, and a bottom line savings of over $85 Million annually. They have announced plans to shut down the Network Centric Systems Unit in McKinney, Texas. The reorganization is one part of their general plan going forward to consolidate their business and streamline the company structure by reducing the number of business units from six to four. The initial restructuring will happen on April 1, 2013. The company has almost 10,000 US workers and approximately 68,000 total world-wide employees. How the changes will affect their other sites is not yet clear. Our new structure will help us enhance productivity, agility and affordability in a challenging defense and aerospace market environment. We will remain focused on success for our global customers while returning value to our shareholders. Raytheon is not the only provider to implement consolidations for cost savings. Military defense competitor Northrop Grumman Corp. (NGC) also announced closures. Northrop released this month their plan to close its Carson, CA site. The cuts at the two largest US defense contractors comes as a result of decreased US Military spending by the Pentagon in recent years. Budget analysis estimates the overall budget could decrease by nearly $500 Billion over the next ten years.